Bombo Beach panel-beater Wayde Franklin’s rugged appearance has attracted unlikely praise on his irregular visits to the streets of the inner-city – although he’s at a loss to explain why. His Dunlop sneakers have been singled out for special commendation from passing youth, as has the shapeless cap he wears, proudly promoting KB lager. 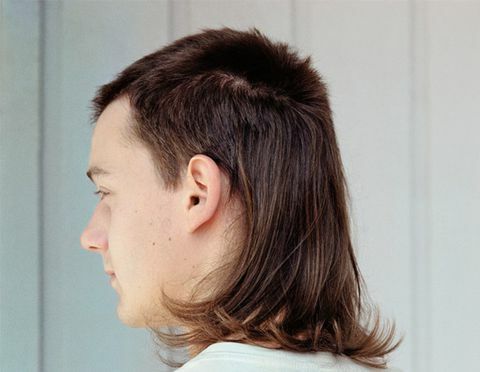 But nothing has attracted the attention of the citizens of the metropolis more than resplendent mullet haircut. Chosen for utilitarian, rather than aesthetic reasons, (his local barber is partly blind and can only competently cut a ‘business at the front, party at the back’ do), Franklin’s hairstyle nevertheless has passing fashionistas enraptured. Franklin was equally dumbfounded that his greying Megadeth “Hangar 18” t-shirt has drawn admiring glances, largely from those mistaking it for an ironic salute to heavy metal culture, instead of the un-ironic tribute to the music of Megadeth its owner intended it to be. Style doyen Ulysses Preskipus says bogan fashion is being embraced by poseurs in a quest for the authenticity they otherwise lack. “C’arn the doggies,” he added.